Penina is a Trainee Solicitor at CFG Law and joined us in 2018. 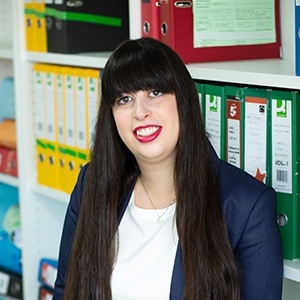 Penina helps to look after our clients with enthusiasm and a smile to match. She applies empathy and a friendly nature equally to ensure clients are comfortable and open when speaking with her. First and foremost, Penina understands that the most important person in the claims process is the client and their immediate needs. Penina has experience advising people and offering free legal advice at the East Manchester Legal Advice Clinic. Taking an empathetic manner with clients to understand and relate to how they're feeling and relating to their situation. Comforting clients and checking in with them to make sure they are ok and are happy with the progress of their claim. A can-do attitude to make sure things get done quickly and efficiently. Being able to help people and make a difference in their lives in what can be difficult circumstances. The human element of claiming compensation and making sure the support needs are in place from day one. The friendly environment of the office where everyone is happy to help each other and answer any questions. The involvement of immediate treatment and rehabilitation to improve recovery and quality of life for clients. Different types of accident circumstances and how this impacts the claims process. Horse riding and walks in the countryside with my dog.